These are our most basic pair of earrings. Nice, short and simple. While not basic this style is still fun to wear and very unique. 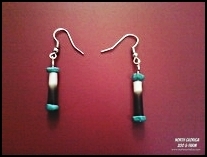 A very light and free version of the dangle earring. These earrings are one of our most basic pair. For those of you looking for a simple elegance that is still unique. Want a lot of dangle? 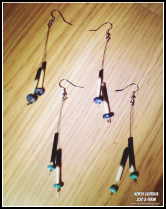 These are the earrings for you.